Why it is necessary to have high quality transformers? A transformer is a significant tool for managing electrical voltage that is often used in housing, commercial and industrial settings. They are mainly useful for changing the currently available voltage to manage the voltage requirement for the load. 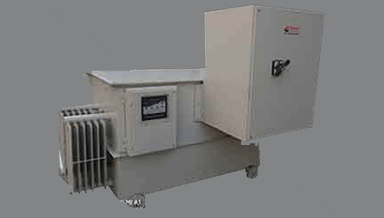 Transformers come in anextensive range of models and types, such as auto transformers, rectifier transformers, control transformers, step down transformers and isolation transformers among others. These days the transformers are used regularly for a wide range of applications due to which they are held with great importance. The success of a particular electrical function depends in a major way on the type of transformer that is used. The main function of a transformer is to effectively control and manage the voltage load so that there is no surplus or shortage of voltage for a specific function. Resistive and inductive loads like heating of motors and lighting are some of the most common applications that are associated with the transformers. A transformer manufacturer in Gujarat designs and produces these machines only after carefully considering the specific needs of the industrial, commercial or residential applications for which they are to be used. The designing of these machines is such that they can be installed easily without any vaults. The fast growth and evolution of the industrial area has made it very important to have the right kind of transformers that can be very good for various functions. With so many advanced models now being available, consumers must take their time to understand the various functions of these devices before they can start using them. A leading transformer manufacturer in Gujarat can even develop custom variants of these machines so they are capable to manage the voltage needed for a load in a much more accurate and precise manner, thus leading to successful handling of various functions.